Travelers throughout the world have always sought hospitable places to rest and eat. The history of country Inns that offer food and hospitality for the weary journeyer goes back centuries. The term ‘hospitality’ derives from ‘hospice’, meaning a place of rest. Today our historic inns & restaurants offer ‘hospice’ plus so much more. The B&B Team has a number of historic inns & restaurants (commonly called full-service inns) listed. This and future blogs will be featuring these properties. Country Inns where guests are surrounded by rich history. Warm and restful guest rooms. Plus a restaurant that adds another dimension, a lively atmosphere were guests gather to enjoy good food and drink. A wonderful hospitable combination. Where should we travel first? In the hollow of a ledge, near a pine grove, a log home and tavern were built in 1853. Today this original simple dwelling is the Asa Ransom House Country Inn, a Western New York Inn & Restaurant. The area and Inn are steeped in history. Asa Ransom was literally the first citizen of the town. Along with the tavern business he built a Grist Mill. Ruins of the mill can be found on the property’s eight acres. The Inn resides in the town of Clarence, the oldest existing town in Erie County. The reign of hospitality grew throughout the centuries. Dining rooms were added in 1975 while keeping the charm of the 19th century. Another guest room wing added in 1993 overlooks the rear gardens and pond. Location is always key with country inns. The Asa Ransom House is on NY Route 5 (Main Street), the main east-west highway that runs straight to Clarence, NY. Small town America is alive and well in the town of Clarence. A trip to Clarence and the Asa Ransom House will bring you back to a simpler time. 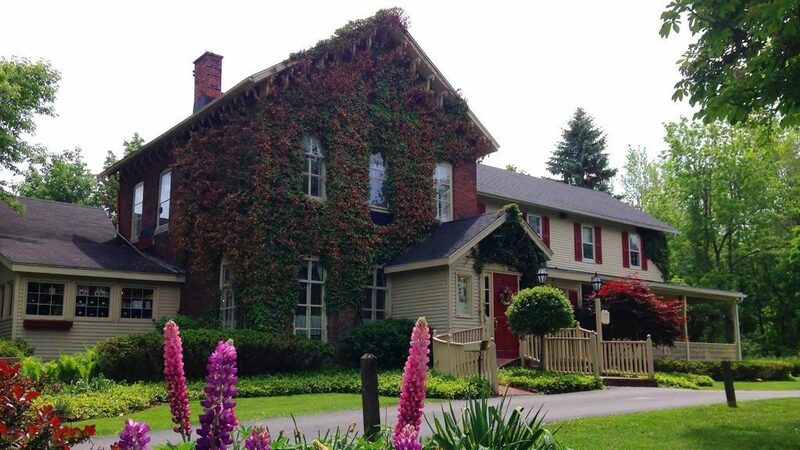 The Inn is just 15 minutes from Buffalo and 30 minutes from Niagara Falls. The Inn draws guests travelling to the rich Buffalo-Niagara Region which is part of the Great Lakes Region. An important statistic; “There are 4, count em, 4 cities in upstate NY with metro populations of over 1,000,000 people. Buffalo, Rochester, Syracuse, and Albany/Schenectady/Troy. The entire population of Upstate NY is about 6,000,000 people.” That is a lot of people to draw from! Locals are also frequent customers to the restaurant. The restaurant serves New York based food and wine. Their extensive herb gardens add local flavor to the menu. With a focus on food, special events and lodging of 10 guest rooms, new owners of the Asa Ransom House Country Inn will have an excellent opportunity to build new business. It is there to be had! The B&B Team loves working with future innkeepers that have the vision and vitality to take an already solid successful Inn and restaurant to another level. Looking forward, the view looks great! 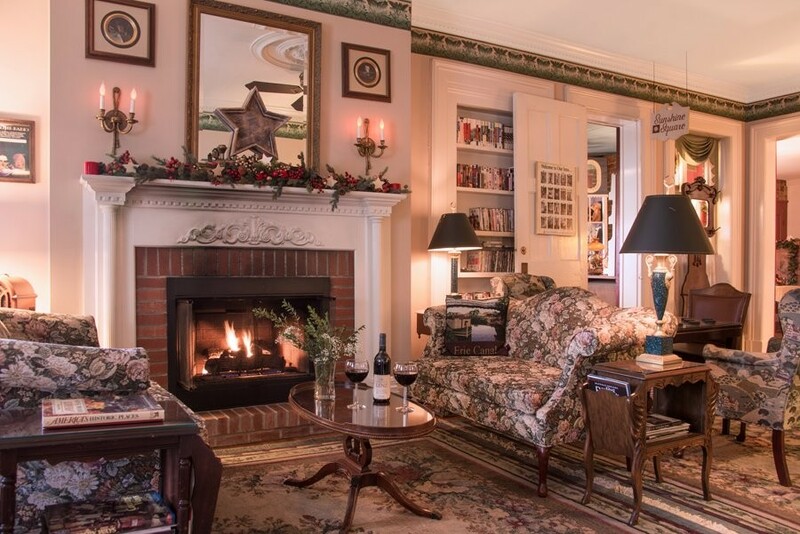 If you are an aspiring innkeeper who is considering a career in innkeeping with a full-service dining component take a serious look at the Asa Ransom House Country Inn & Restaurant. The B&B Team can help guide you through the process. This entry was posted on Thursday, November 29th, 2018 at 1:05 pm	and is filed under Better Way to Buy and Inn, Food & Beverage, Inns for Sale. You can follow any responses to this entry through the RSS 2.0 feed. Both comments and pings are currently closed.